Just as the chill of fall is in the air and UVA students are wandering back into yoga class Hydra Yoga we must announce our last 8 classes in Charlottesville are hosted at “Barre.d” studio in October as Kelly Zimmerman is moving to San Jose, California! We must apologize as many of you seem pumped for the fall season. We are sad but excited to join forces with Barre.d for our final 8 classes in Charlottesville Virginia for at least some time! Creating a studio and clinic on the downtown mall of Charlottesville has been an absolute dream. We have all enjoyed the beauty of our downtown space- a space and community like no other in the world. After moving from the Glassbuilding quite suddenly things were really chaotic BUT we have built as small pack of serious and fun loving yogis– that is something we should all be proud of. Fun classes, small group sizes, integrated healing methods. With VERY REAL healing experienced by every student, Hydra is a truly unique method, thrilling to be a part of and a vision we hold to be true to the tradition of yoga in a culture which is pressuring yoga to become more commercialized, less personal, less substantial. Our personal standard aligns us with our truth and it is our goal to help you find your own personal truth too. Although we are happy to guide you to referrals during this time- the light of HYDRA is inside you and with diligent practice you too will come to master your own unique voice. We are not proud that we made this community- we are proud so many students and patients were inspired by our unique methods in massage and yoga. San Francisco, Los Gatos, the Esalen Institue, Santa Cruz and Harbin Hot Springs are all places that offer Kelly Zimmerman the instruction she wants to continue grow as a clinical healer. You know with such a highly talented teacher/healer you must up the ante on the level of instruction one needs to grow! Charlottesville is her home town and she will never be gone for long. The website will stay live offering local retreats and local Charlottesville classes from herself and her colleagues and apprentices. 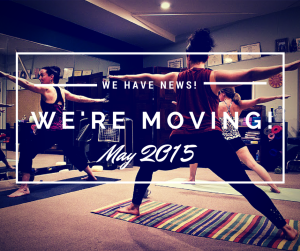 Register on Hydra Yoga’s MindBody as you normally do to stay tuned to the class schedule. Big shout out to everyone who participated in our Massage retreat last weekend. It was grand listening to the cows moo and coyotes howl with you!! We are currently organizing another retreat in December- let us know your favorite dates or locations for December- OTHER than your living room! Monday, Columbus Day, October 10th and Tuesday October 11th we are holding a two day retreat at, hands down, the most beautiful and lush country lodge in the exquisitely gorgeous farmland of Warm Springs, Virginia. The yoga centers around emotional healing with nourishing acupressure treatments paired with dynamic release activates (smashing various squashes and screaming into the wilderness). Wahoo! Partake in optional Watsu aquatic floating sessions to soothe the soul or cold river dips to liven the spirit! Yin, Yang and Warm Springs. LET IT OUT with a scream or a whisper. Treat yourself to daily yoga and massage for relaxation and strength. Savory, healthy Southern breakfast and dinner fare are included. Let yourself be immersed in THE UNBELIEVABLE sweeping farmland surrounding Fort Lewis Lodge in Warm Springs, Virginia. Spots are still available so register today on mindbody! Tell your boss you are reinstating Columbus Day as a national holiday! Bring your yoga mat and baseball bat! We are eager to embrace you in healing and strength. Thanks to everyone who came to this great event! Thinking About Hydra Hot Yoga? 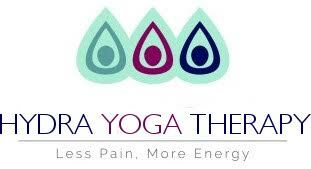 Do you love yoga and want to experience the newest and most awesome form Hydra Hot Yoga. Hydra Hot Yoga is a therapeutic sequence of postures practiced in a heated room, which prevents injury, allows for deeper releases within the muscles, and detoxifies the body. In Hydra Hot Yoga the room is intentionally heated because of the benefits it offers the body. You will experience the benefits of heat on your muscles as they move through their full range of motion. This is because higher temperatures soften collagen around the joints for more freedom of movement and improved function of the nervous system. Not to mention that the process of sweating exfoliates and rejuvenates the skin. Since you will be working up a sweat, it is important the you remember to hydrate your body before and after class. You also want to avoid practicing on a full stomach which may result in discomfort during your hot yoga practice. We recommend not to eat a large meal before class. Eat a small healthy snack and you will be very hungry afterwards! Yoga is a time for reflection. Enjoy the experience and you’ll achieve the most amazing physical and emotional changes in your body that you ever thought possible. Namaste.